"Best place we could find for the price." Have a question for 11th Street Bed and Breakfast? "Room, linens and towels smell nice"
"Above all, staff is very friendly and accommodating." "Staff are very accommodating and respectful especially to PWD like me." "Good and coosy bed and breakfast,, nice staf." 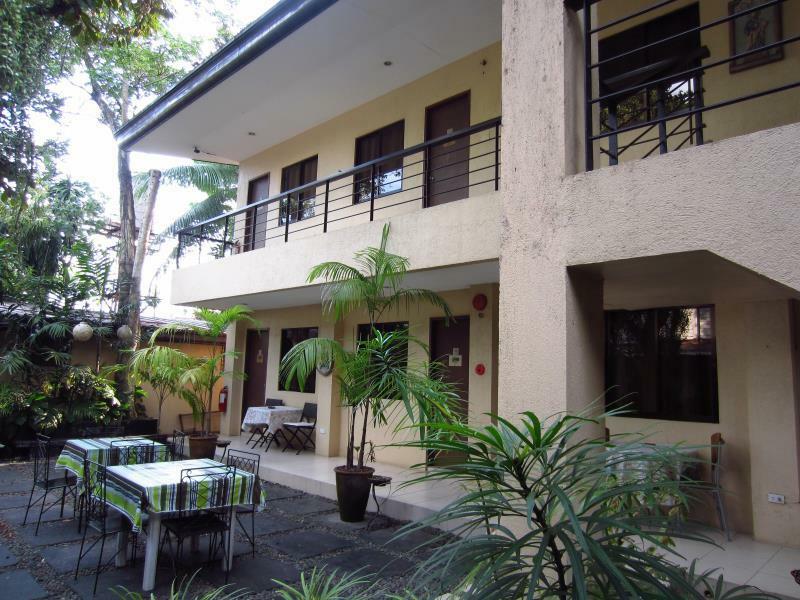 Offering quality accommodations in the business, restaurants district of Bacolod (Negros Occidental), 11th Street Bed and Breakfast is a popular pick for both business and leisure travelers. From here, guests can enjoy easy access to all that the lively city has to offer. With its convenient location, the hotel offers easy access to the city's must-see destinations. 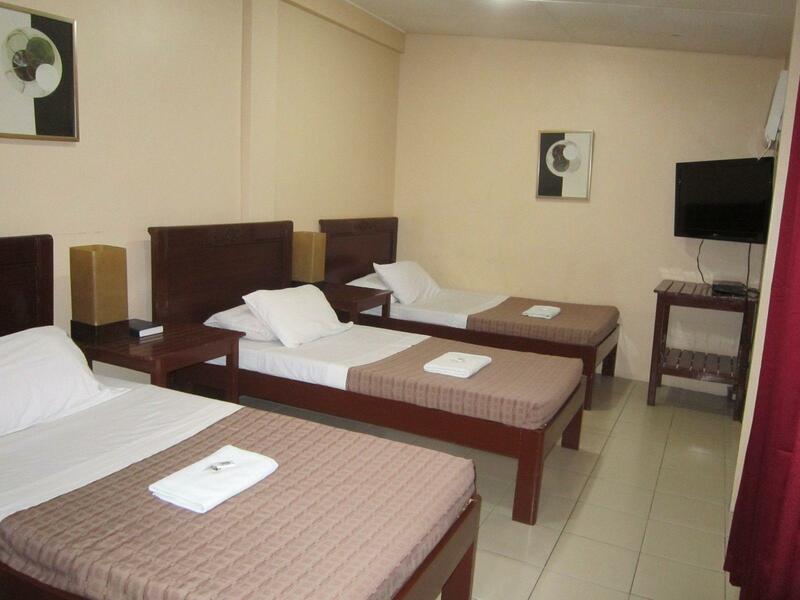 11th Street Bed and Breakfast also offers many facilities to enrich your stay in Bacolod (Negros Occidental). The hotel offers access to a vast array of services, including free Wi-Fi in all rooms, express check-in/check-out, luggage storage, Wi-Fi in public areas, car park. All guest accommodations feature thoughtful amenities to ensure an unparalleled sense of comfort. The hotel's recreational facilities, which include massage, garden are designed for escape and relaxation. 11th Street Bed and Breakfast is an ideal place of stay for travelers seeking charm, comfort and convenience in Bacolod (Negros Occidental). "If you are looking for a clean and airconditioned room in a..."
The staff in this B&B are approachable and you will immediately feel a "home away from home" vibe with how they serve their guests. Limited choices though on the menu. Some offers are not available. It will be better if they give prior heads up of what is and isn't available. Proximity to the main road and other establishments is a plus. Easy to access and the place is secured. Everyone is willing to extend the extra mile in giving a pleasant stay for each guest. I checked in for 2 nights and was so disappointed during my stay. I asks for a laundry service and took me so long before they will inform us if the service is ok. I keepon coming back to the front desk for follow up. We were even late for our next travel because they promised to give us the laundry at 9am but they delivered it in our room almost 12nn already and take note after how many times of going back and forth at the front desk. And what surprised me was the food price. They have a complimentary breakfast and we added and glasses of hot water and 1 meal and they charge 400+ just for that!! Hot water is so expensive than their usual drink!! They dont even give me the breakdown of what i ordered even i kept on asking for the price of each item and just told me that its taxable! !Their toilet dont flush and the room has a lot of mosquito flying!! !I WILL NOT COMEBACK ANYMORE TO THAT HOTEL!!! Stayed here for 2 nights. Just needed some place affordable in a central location. This hotel is both. The bed is good. The wifi is good. The shower hot. The breakfast was ok (Bacon, egg and rice). I was on the ground floor, there were some bugs coming in via the door, ants, spider a cockroach. If there is a next time I'll ask for a upstairs room to compare. Great value for money. Excellent room! The hotel feels like home! It is really great! Plus, you can actually ask the staff to contact an airport shuttle service to pick you up without additional charge! The only problem is its location; one has to walk from the highway to reach the hotel (a problem for those who don't hail cabs). 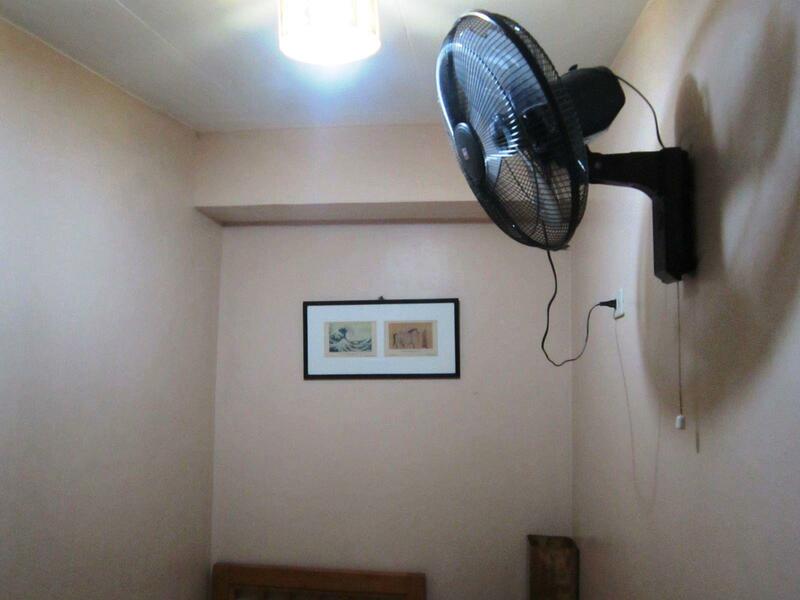 If you are looking for a clean and airconditioned room in a budget with free breakfast, then stay in here. Free limited parking space also. 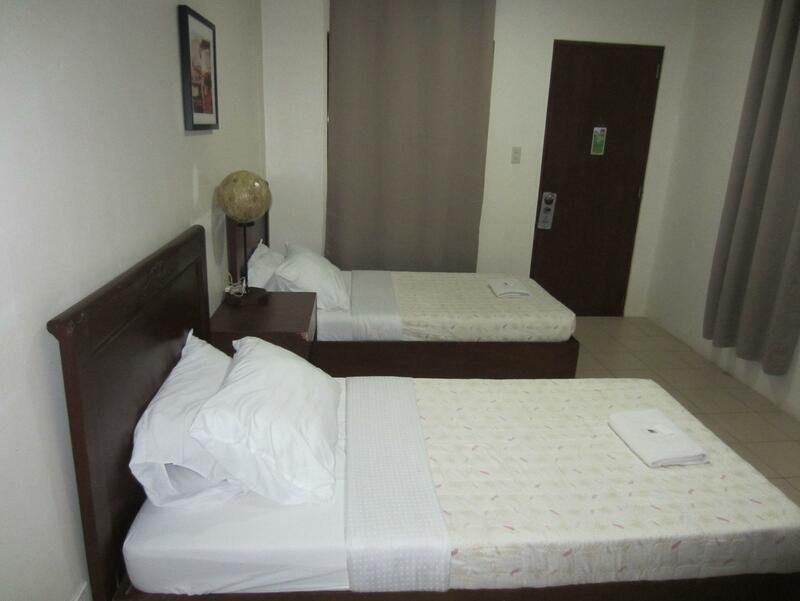 Clean room, friendly staff and located near government offices, restaurants, commercial and shopping areas. The place is very good for the price range. It’s in a quiet side but walking distance to the major road (Lacson Ave). It’s near the Capitol where you can do morning run/jog/walk around the lagoon. Location is walking distance from main street. Room smells fresh and tidy. Breakfast is a plus. Above all, staff is very friendly and accommodating. It's near the main street of Bacolod -- Lacson Ave -- where most of the happenings and good food places are. Staff are very friendly, helpful, and quick to respond. Transportation is of no problem as trikes and taxis can be easily hailed by the concierge, even a shuttle going to the airport! My room was the non-airconditioned one. It's still good. Not hot inside as their fans are sufficient for the room's size. Good beds and pillows -- not stiff! And that's despite the low price of the room I availed. If in case you don't feel like going out, their food will do. They're also available during the wee hours of the night when you need help or have any requests (buy water or hail a cab). I'd definitely come back to this place again if I were to re-visit Bacolod! :) Thank you, 11th Street Bed & Breakfast! Without endlessly listing all the problems. I wouldn't stay there again. The cold showers, the small room, the mosquito infestation (because of all the foliage there), the noise of staff, other customers with tables outside the rooms, the maintenance work. You will be woken from 7.30am onwards with no quiet layins possible. I felt I was really welcomed. The very nice lady owner did everything to help me in all my many questions! My single room was clean and comfortable, not too expensive. Breakfast was nice. I thank you and recommended this lovely hostel foif you go to Phuket! I was attended to promptly when I arrived. I like traveling early in the morning so I was too early for check-in. Good thing they have a secured area where you can leave your bags while touring the city in the morning. You can just come back to check in. I came back earlier and was allowed to check in because the room was already available. Staff is accommodating, answers all questions and requests the best they can. Reminder though - if you are scheduled for an early pick up (first trip) going to the airport, ensure that the guard or staff you talked to is able to relay the message to the one on duty in the morning. I had to call the van owner myself at 430A to ensure that they will pick me up on time. You don't want to be late for your flight. Overall, am satisfied. It was just enough for what I had paid for. I got a small room suitable for a solo traveller. I arrived earlier on the check in time but they allowed me for an early check in. 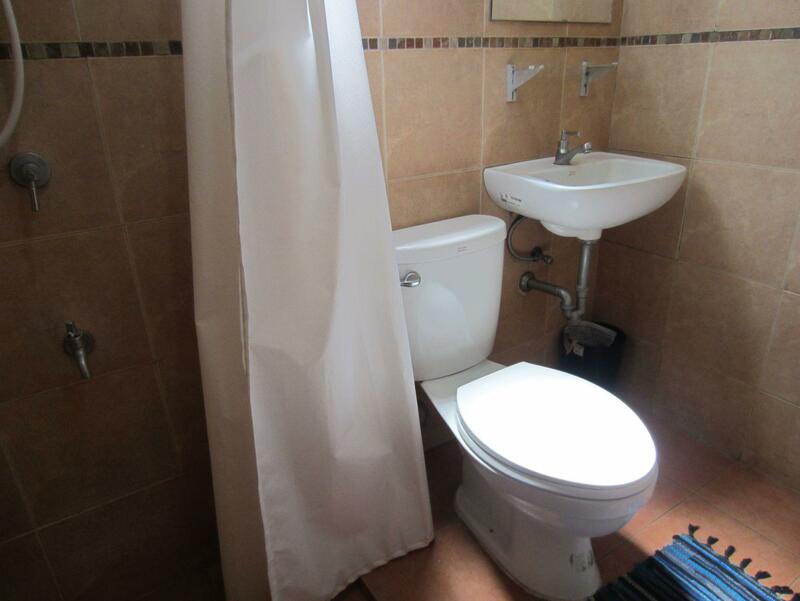 The bathroom is small, there is no partition on the shower area. After your shower, the bathroom is all wet. There's no hot/cold shower but that's not a problem for me. If you are walking outside at night going to the main road, you will pass on a dim street. The Staffs are friendly, they allowed me to leave my things during my road trip to Dumaguete. Staff are very accommodating and respectful especially to PWD like me. Best place we could find for the price. Kind and helpful staff. Good laundry service. Large room and tasty food. We will return.